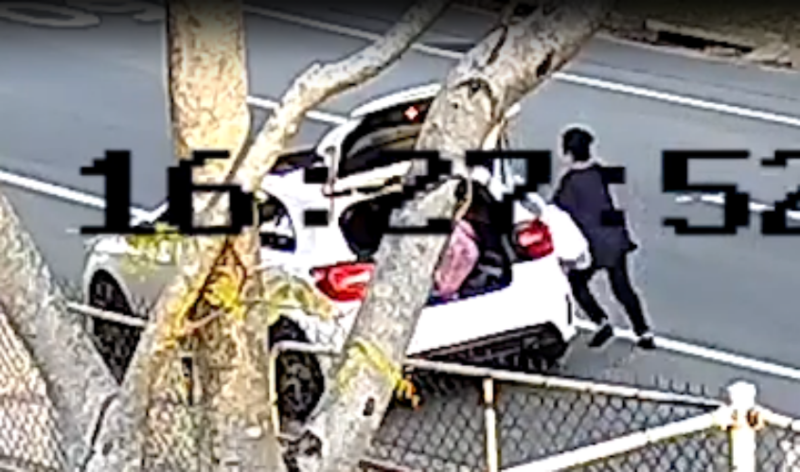 POLICE have released security vision of the shocking moment a woman was carjacked while dropping clothes into a charity bin on the Gold Coast. It happened outside a Vinnies store on Allied Drive at Arundel around 4.40pm on Wednesday. Chilling CCTV footage released by police shows a man in a blue hooded jacket approaching the 53-year-old woman from behind as she unloads items from the boot of her white Mercedes Benz. 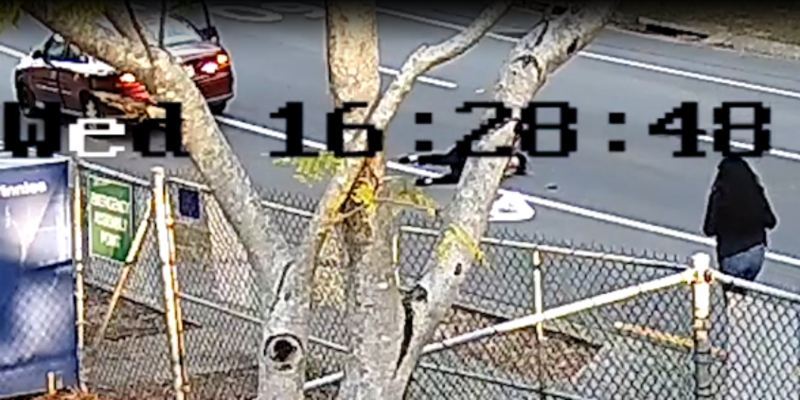 The man of Pacific Islander appearance can be seen in the footage walking straight up to the woman’s luxury car, which was still running, and jumping into the driver’s seat. The woman desperately tries to get the man out, but she is knocked to the ground and he drives off. A Good Samaritan can be seen pulling over to help and using his car to try and block the carjacker in, but they’re unsuccessful and the man gets away. Thankfully, police said the woman did not receive any physical injuries as a result of the incident. She was, however, treated by paramedics for shock at the scene. Her 2013 Mercedes Benz A250 Hatch was found dumped on Blyth Street at Arundel on Thursday. The man who stole it, however, remains at large. He is described as being Pacific Islander in appearance and was wearing a blue hooded jacket, dark blue denim jeans, a dark baseball cap and blue backpack at the time of the incident. 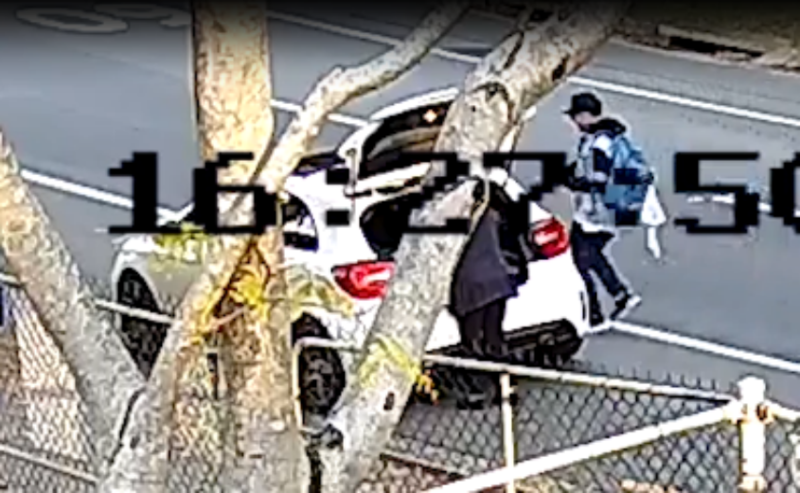 Police are appealing to anyone who may have information in relation to this incident, or the identity or whereabouts of the man, to come forward and call Crime Stoppers on 1800 333 000.